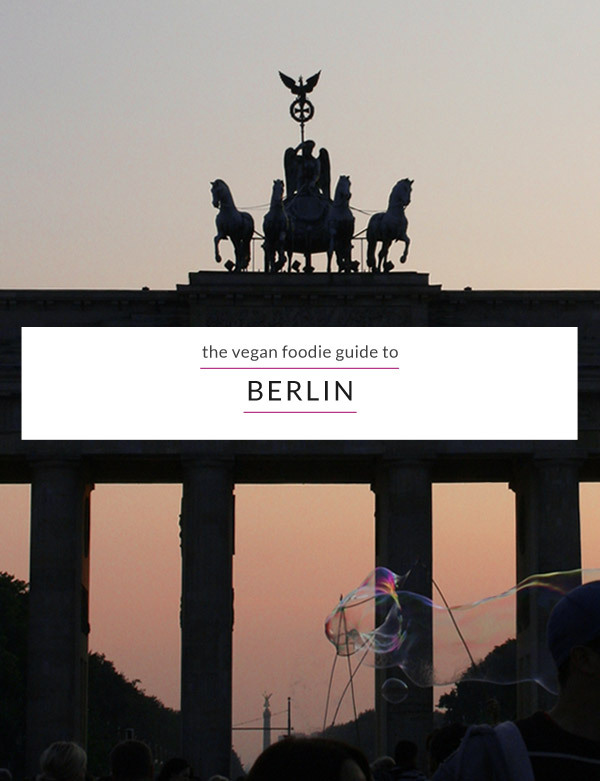 Berlin is extraordinary and vibrant city with a large selection of vegan restaurants and very vegan friendly restaurants available throughout the city. I would go so far to say that Berlin is a bit like London in a way, a delicious melting pot for the worlds many food cultures. 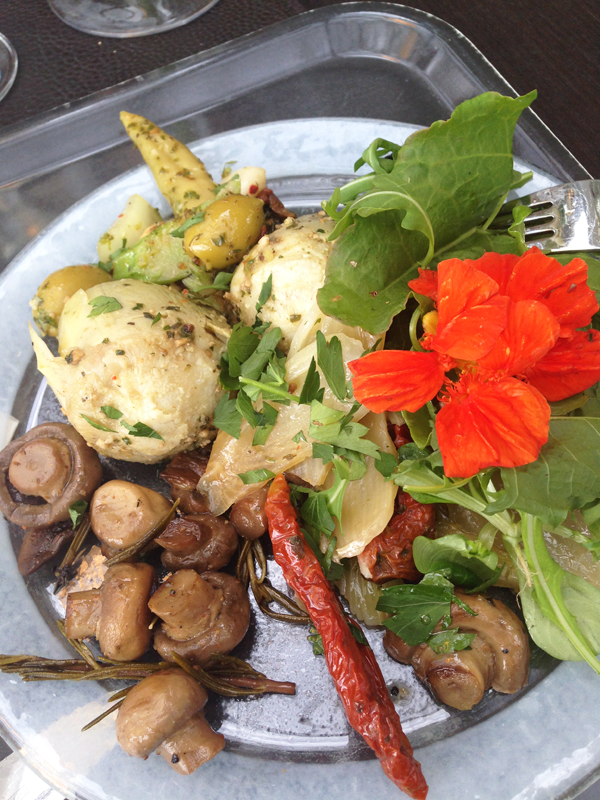 During my visits to the city, I’ve always enjoyed great vegan food and the organic and vegan grocery selections available in the many “BioMarkts” located around Berlin. These are a few of my favorite places. More to be added as I remember them. For fine dining and deliciously well made cocktails. 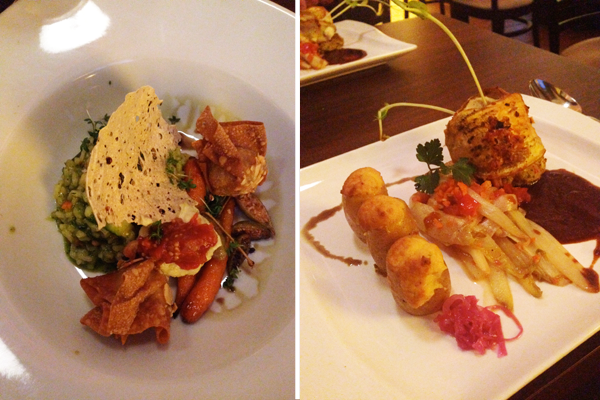 The menu and food available in Kopps is based upon season. I must say that the presentation is very beautiful, the ambience really nice and the cocktails simply divine! However when I was there in (June 2013) the service was terrible. We waited 1 hour to get served our pre-dinner drinks. Even though the decor is chic and the service was attentive in the end – when we moved inside, I’m not impressed since we had chosen the restaurant to celebrate a special occasion. last time I was here I had their lava cake, that dessert is the stuff of pure dreams. The food at Lucky Leek is amazing. It’s beautifully presented, the ingredients are seasonal and carefully curated. 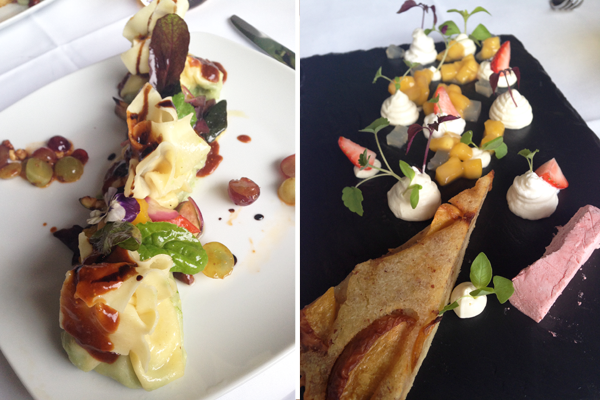 The dishes are creatively composed and the atmosphere is relaxing and the service is top notch. The wine list, with organic and vegan wines adds that little extra. I’m happy we chose Lucky Leek for our anniversary night. 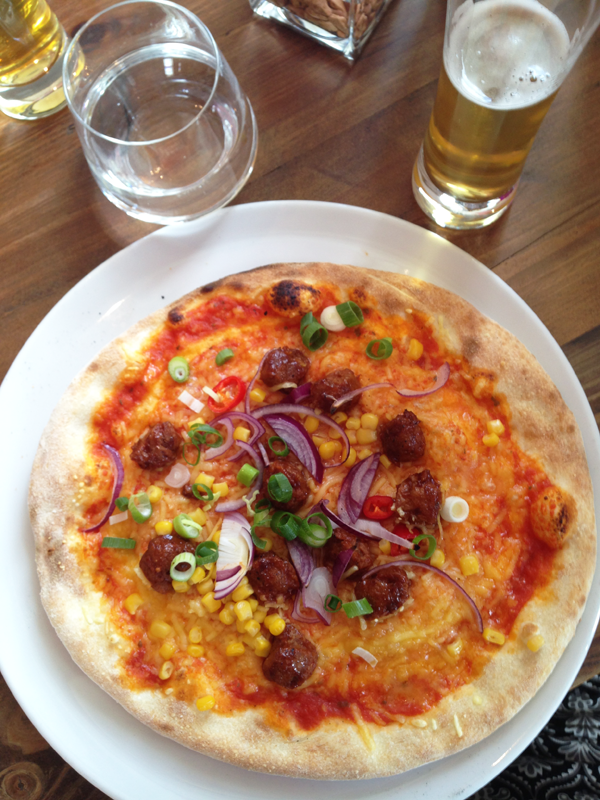 Mio Matto is a place to grab a pizza and a cold beer. They also have brunch during the weekends – to get a table – do book a head, otherwise you will miss out. Mio Matto is located just above the Veganz shop, so if you want to do a spot of vegan grocery shopping, it’s an ideal place to grab a pizza while you’re there. THE vegan supermarket for all your vegan groceries. They stock everything from toiletries to vegan pet food. As a vegan – it’s such an amazing experience to able to walk around the shop – and not having to read any labels – because everything is vegan. I do recommend a trip, just to pick up some vegan candy. In conjunction with the Veganz store is a cafe/bistro. 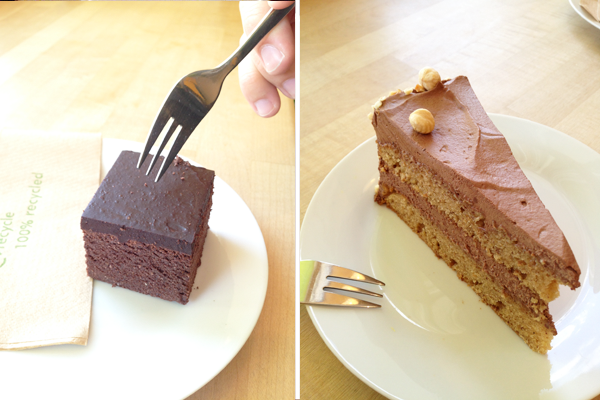 As we walked by I just had to get a slice of the hazelnut cake that looked as delicious as it tasted. I paired it up with a vegan cappuccino made with almond milk and just took a moment to enjoy the experience of being able to eat cake and cappuccino! My boyfriend had a brownie, it was so cute I just had to take a photo of it. While you are spending a day at the luxurious environment of Ka De We you should know that, yes you can grab both high quality wine and great food in their food court on the top level. While taking a break from your shopping. My trick is to aim for the salad/cold food and compose a beautiful plate of delicatessen. if you are unsure, just ask their super friendly staff. Every time I’m in Berlin a stop at KaDeWe is tradition and a must, just to enjoy a glass of Veuve Clicquot, wander the grocery section and enjoy myself in the beauty department. They offer lighter meals, smoothies, soups, desserts and sandwiches. I sampled a tofu sandwich, really savory. I got to try the first vegan cheesecake that the girl behind the counter made :) Good prices, light food and lovely staff. Great for a quick bite. I kind of live here in the evenings when I’m in Berlin. I love the food here. You can sit outside under grand trees and eat your food and drink Weissbier in the warm summer evenings. Their menu is seasonal. So expect it to change. A staple is the Vegan Gyros plate though. If you are really hungry, try that one and a large glass of cold Weissbier. They have a great vegan brunch on Saturdays or Sundays (or both days) – during the daytime. Be sure to try that. They offer a huge selection from their kitchen with everything you can wish for to sample. They have one cupcake which is vegan every day. I recommend stopping here to enjoy a cupcake in combination with their great selection of tea. The area Cupcake Berlin is located at, is quite eclectic and creative and definitely worth a visit in itself. Fast food chain that serves only vegan food. I loved my burger, fries and vegan mayo. Highly recommended! This place has the most incredible brunch ever! If you go late spring and summer you can sit outside in their beautiful garden. During weekends it’s very popular so you may have to wait for over an hour for a table but its well worth it! This is a perfect brunch spot which I discovered with a friend last year. It’s situated on the other side of one of my favorite vintage markets in Berlin, so perfect to try on a Sunday. Offers Singapore cuisine, has a number of vegan items on the menu. I tried the dumplings in coconut sauce, they where exquisitely spiced with herbs and spices I’ve never tried before. Nice street food/lunch. I had a sandwich with Mediterranean grilled vegetables for lunch. Great and friendly service. Unsure if they are still open since last time I was in Berlin, they where not open at all on the times stated in their window. Berlin Vegan is an extensive directory for vegan restaurants, they also have an iPhone app (the GPS functionality need some more work though…). The main content is all in German though. They have a section of their site available in English. If you speak English, and don’t understand German, check out the Berlin section on Happy Cow for more extensive info.